We don't want fear or stress to deter you from the dental work you need. Decay, cracks, chips, and missing teeth will not resolve naturally. Only intervention with professional dental care can stop these problems and restore good oral health. 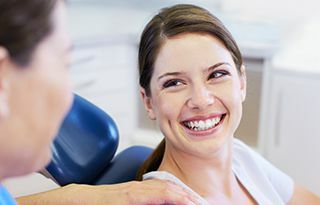 Forest Hills dentist, Dr. Miller values your comfort and your attractive smile. He places white fillings and crowns when possible, and he provides lifelike replacement teeth and denture stabilization with dental implants. For internally damaged teeth, root canal therapy offers a conservative option to retain a tooth, rather than extract it. 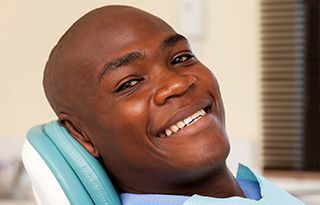 As a Forest Hills sedation dentist, Dr. Miller can administer nitrous oxide, oral sedation, or IV sedation, so you can feel confident and comfortable – or even sleep – throughout your dental procedures. Some of our most popular restorative procedures involve replacing metal dental work with a cosmetically pleasing alternative – porcelain or composite. 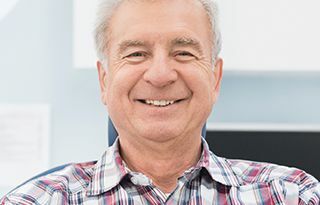 Dr. Miller's experience and training with complex dental work also allows him to provide full-mouth rehabilitation and implant-retained dentures to patients with extensive dental problems. All of these procedures can be performed under IV, nitrous oxide, or oral conscious sedation. Because of personal circumstances, dental phobia, or trauma, many of our patients need extensive dental work. Dr. Miller has studied and performed full-mouth rehabilitation for two decades. He offers comprehensive dental care to renew optimal oral health, function, and beauty, all in the comfort of our Forest Hills dental office. 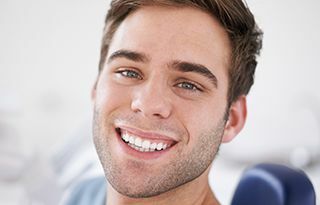 As a sedation dentist, Dr. Miller will provide a rewarding experience for even the most apprehensive patient. He offers nitrous oxide, oral sedation, and IV sedation (sleep dentistry) for total peace of mind and body. At your initial consultation, you'll meet with Dr. Miller to discuss your immediate concerns and a plan for full-mouth rehabilitation. Openly share your dental fears, past experiences, and expectations with the doctor so he can tailor a rewarding treatment plan that will exceed your expectations. You can reclaim your smile with confidence and in comfort. It all starts with a consultation, so call us today! Dental crowns are the standard in care for those patients with teeth severely damaged or decayed, those with significant cosmetic flaws, and those who need to replace amalgam fillings that have been lost or damaged. Whatever the reason, dental crowns are restorations that fit over the entire tooth protecting the tooth from further damage or decay and fortifying healthy dental structure for years of improved function. The process is simple, and typically requires two brief visits. During the initial visit, our team prepares patients’ teeth by removing a small amount of tooth enamel to accommodate the crown. We then capture bite impressions that are utilized by our trusted dental lab to create a custom crown. Between visits, we place a temporary crown to protect the treated tooth until the final restoration arrives. At the second appointment, the temporary is exchanged for the final crown restoring patients’ smiles flawlessly. While the word root canal strikes dental fear into most patients, the procedure itself is actually nothing to be afraid of. It’s no secret that the dental infection leading up to root canal therapy is painful, but the treatment process typically relieves pain almost immediately. Root canals are recommended when patients have decay or damage that reaches the inner layer of teeth called the pulp. The entire nerve system is housed within the pulp. When infection reaches this dental nerve center, the result is a painful infection. Root canal therapy removes the damaged or infected inner tissue, refills the tooth, and seals it shut to prevent future decay. In many cases, patients who undergo root canal therapy will need to have a dental crown placed to protect their tooth. Patients with extensive tooth loss can rely on time tested, predictable partial and full dentures. The traditional replacement prosthetics are removable. Partial dentures, sometimes referred to simply as partials, are used to replace any number of consecutive or nonconsecutive teeth along an arch. Replacement teeth are attached to a gum colored base that is shaped to fill the gaps in patients’ smiles. Partials are then attached to remaining healthy teeth using metal clasps. Full dentures are used to restore a smile when a full arch of teeth has been lost. The row of replacement teeth is set into a more substantial base that is designed to resemble the natural gum line. This base is specifically molded to fit tightly against the gums and jawbone. This tight fit creates suction that holds the denture in place. For those patients interested in a more stable restoration, we recommend considering dental implant supported partial and full dentures.